Luis Benitez is fast becoming a rock star among industry insiders. Outside magazine credits him with luring the annual Outdoor Retailer trade shows – the industry’s largest gatherings – to Denver from Salt Lake City following a dust-up over public lands. Professional ultra runners like #fots Clare Gallagher – a runner for Patagonia, which helped lead the revolt and bolt from Utah – call him the breath of fresh air the industry needs at a time when serious discussions are happening around public lands, diversity and a myriad of other thorny issues the industry hopes to address with a more unified voice. It’s a voice that sounds a lot like Benitez, the flannel-clad “czar” of Colorado’s outdoor recreation industry. 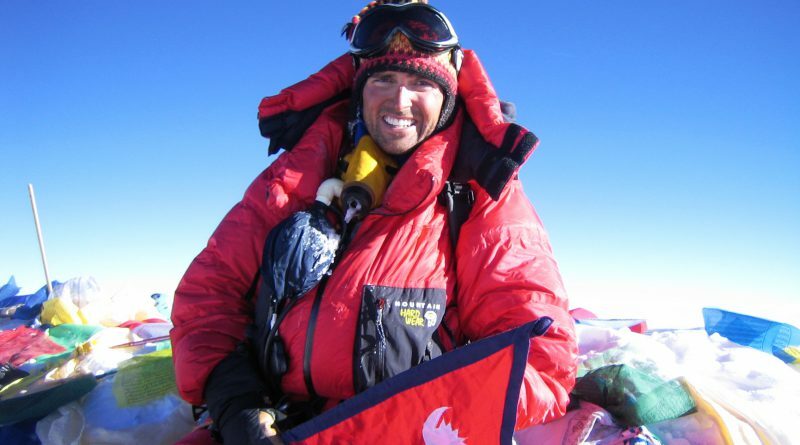 Benitez, the head of the Colorado Outdoor Recreation Industry Office, started as a “hook and bullets guy” (fishing and hunting) and went on to summit Mount Everest six times, once with the first blind athlete to make the summit. He now leads Colorado’s efforts to both lure outdoor business to Colorado and build new connections with communities including – you guessed it – hunting and fishing. He’s also helping open a new dialogue around diversity, himself a Latino who is keenly aware of the lack of cultural diversity at the annual OR show. As Colorado Gov. John Hickenlooper’s point man for the outdoor industry, Benitez was everywhere at the 2018 show – hosting a summit with his counterparts in seven other states; walking the floor with politicos; meeting with Colorado brands and ones Colorado is hoping to woo to the state; hanging out at the Rick Ross concert and fashion show at Red Rocks; emceeing a film series. He was “rolling deep” with a large contingent of staffers to meet with everyone who wanted a piece of him. But the one thing he didn’t have that he wanted … a Slurpee. That’s where we pick up the discussion.